In June, 1958, when 22 Andover ladies met to form the Andover Service Club (ASC), they wanted the emphasis of this club to be community service. Josephine Crisp was the first president. The fiscal year became July 1 to June 30, with a budget of $125. Today, the ASC is a registered 501(c)(3) non-profit organization with a budget of $17,000. All donations to ASC are tax deductible. The mission of ASC is to be of service to the people of the community and the state and to broaden and strengthen the social and intellectual life of the members. In 1959, the first scholarship of $200 was awarded to Andover High School graduate Richard Vaters. This past June, four merit scholarships of $1500 each were awarded and $6000 has been budgeted for scholarships in FY2018-2019. In 1998, the ASC leased the land (from AE/MS) upon which the ASC Thrift Shop now stands. Proceeds from the sale of almost new and gently used clothing and accessories are income for the merit scholarships and the financial donations made by ASC to sixteen community organizations. Yearly fundraising events are held to support the many contributions made by ASC each year. The events scheduled for 2018-2019 are Christmas in October at the Jingle Bell Fair on October 27; the ASC bake sale on Election Day; the Thanksgiving pie sale on November 20 and 21; and the Gifts Galore raffle on December 12. Also birthday cakes for Proctor students are baked by members each month; a bake sale on Town Meeting Day in March; an in-house auction in April; the Slices for Scholarships fundraiser on July 4 as well. There have been 30 ASC presidents since 1958. At the annual meeting/Spring luncheon at 74 Main/the Millstone in New London last June 13, past president Mary Ofenloch handed the gavel to newly elected president Sandra Graves. The first meeting of this 60th anniversary will be on Wednesday, September 12 at 10 AM in the Highland Lake Grange Hall in East Andover. A very special program for this meeting is titled “Magic Is Life, Life Is Magic” by Bruce Cromin, who will speak of aging with magic and humor. September meetings are also when dues ($10 per year) are collected and new membership books are distributed. The ASC will gladly welcome ladies (young, old, or in-between) to join us on September 12 for an interesting and informative meeting. 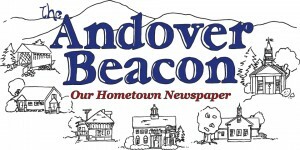 New faces and new ideas are also welcome as we, as members of ASC, strive to continue our support for the people of Andover and surrounding communities for another sixty years.